For the first few years of homeschooling, we have not used a formal science curriculum. 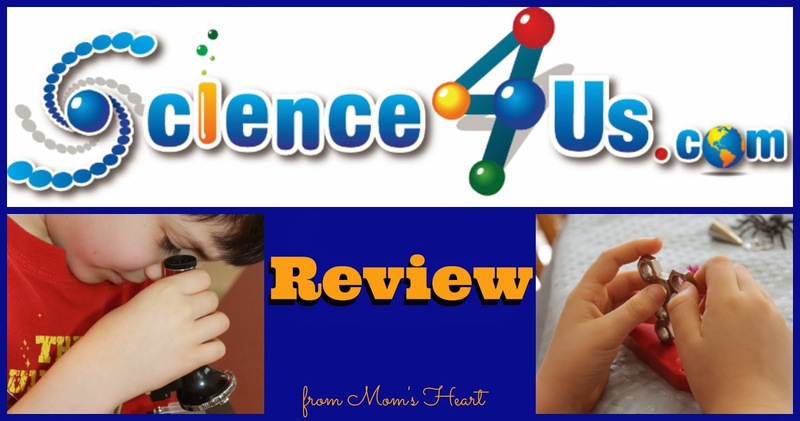 However, Elliott is inquisitive and really enjoys science, and I thought he might enjoy something a little more in-depth for first grade science, so we were eager to review Science4Us.com. The Science4Us.com Online Subscription ($7.95/month) is an online core science program for K-2nd Grade. The standards-based curriculum covers four areas of science. These four areas are each their own "Book of Science" that are further divided into units, and the units are then broken down into modules. The number of units and modules varies depending on the subject matter. The modules are built on the 5E Inquiry-Based Instructional Model of Engage, Explore, Explain, Elaborate and Evaluate. Each of these areas helps children develop different scientific skills. It is not necessary to follow a specific path on Science4Us, as you can move around freely in the program. This is important to me, because we could then focus on an area of interest, which is important in our homeschool environment. The lessons on Science4Us.com include short videos/lectures, interactive games, a student journal to draw/write responses to various prompts, and so much more. If there are activities assigned, they are immediately visible when the student logs in. He can remove the assignments one by one by completing them. Or, he can go into the Book of Science and view all of the activities associated with a specific module. Either way, as the activities are completed he receives a gold star. The gold star is very motivating for him. The activities will appear in the large window on the left, and the window can be expanded to full view. I work pretty closely with Elliott, because I want to make sure he is understanding the material, but he could easily navigate the program on his own. There are various types of assessments and discussion starters throughout the module, and ample opportunity for us to discuss the material. We did run into a technical glitch every now and then, but I've found that happens sometimes with online programs. Elliott would want to repeat the activity so he could finish it, and sometimes it would take several tries. That can be frustrating for a 7 year old, but it's nothing we haven't managed to overcome. Once he completes the online activities for the day, we move on to any related hands-on extension activities I may have chosen. These are available in the teacher section, which I will get to briefly. I will say that the extension activities are my favorite part of the program. I believe it is the hands-on, interactive activities that make science concrete, and they are what complete this program. After we finished Inquiry, I gave Elliott the choice for our next topic. This program works well for a relaxed, delight-directed homeschool because we can move at our own pace and choose the topics that interest us the most. After he finished the unit on Science Tools, he chose Energy Sources. I was shocked (I was expecting something more predictable and familiar to him), but he ended up being very intrigued by this topic, which led us on a rabbit trail about electricity and a biography on Benjamin Franklin. To me, that is a testament to Science4Us.com! 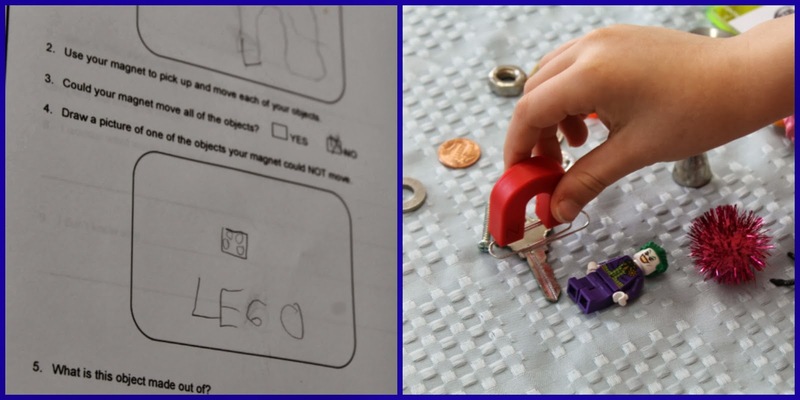 Another topic he explored was Magnets. Again, I love that this program has short modules that let us move around freely. As you can see, there are so many activities to engage children. I am selective about the worksheets I give my son; I skip the "fluff" and choose the activities that encourage real hands-on learning. Most of the activities and worksheets are age-appropriate, and especially delightful to kinesthetic learners. I particularly like the lessons that are based on science inquiry, but have a worksheet for recording observations. First of all, I want to reiterate that this is not just an online program with activities and games for the student. There is so much more! As the parent/teacher, I can preview the material and objectives for each module, assign specific activities to my students, view their progress (from grades on assessments down to the minutes spent on each activity), access professional development material, and choose from the variety of extension activities I was telling you about. I can also view the teacher materials for all three grade levels, and as a homeschooling mother, I believe there is a lot of value in being able to choose the appropriate level for each individual activity. I found the whole process fairly intuitive, and the website is mostly user-friendly, but there are Help videos throughout every area if you need guidance. The core of the program may be the online activities, and it is solid, but I believe that hands-on activities that encourage measuring, observing, classifying and experimenting with scientific inquiry complete this program. That may have a lot to do with my philosophy on how children this age should learn, but I believe they need the REAL science activities to understand what they are learning online. I find some of the activities nonessential to the integrity of a science program (i.e. alphabetizing vocabulary words), but I realize this program was intended for a traditional school setting. Elliott doesn't mind those extra online activities, and as I said previously, I am a bit more selective about the offline materials that I present so we skip some of these offline. I do think the variety of activities, both online and offline, make it ideal for all learning styles. Elliott really enjoys Science4Us.com and asks for it often. I know that he is getting a good foundation in science. I plan to finish the program. While the program says it can be used for older elementary students (Gr. 3-5) as a review, I would venture to guess that the graphics and activities would begin to seem too easy/immature for most children that age. For everything this program covers, the Homeschool price of $7.95 per month per student is reasonable for my one student that is using the program. The monthly option is also nice if you just wanted to do a specific unit study, but you can cover so much in a month if your child is eager and diligent. You can find out more about Science4Us.com through their website or social media. Very interesting to read a review for someone within the age guidelines. It's funny, because the things that you didn't care for in the program are the exact things my 4th graders actually DID enjoy most. That, too, is a testament to Science4Us.com. We used it as an assessment, but have found that we actually learned much more than we thought we would. Overall we really enjoyed Science4Us.com and plan to complete the entire program. Excellent review! Thanks Nicole! I do think the variety of activities offered are what make Science4Us.com such a versatile program. It really is a great program for all learning styles. it's an interesting program isn't it? my son enjoyed just doing the modules without any extra tasks to accomplish. I'm sure we might do some modules that way. I think they have enough "meat" in the online core that you can do just that!